Choosing a records management provider isn’t easy. You need security, dependability, and experience. Sometimes, the choice between two qualified records management companies comes down to one deciding factor: Privacy+ Certification In this blog, we highlight several ways working with a Privacy+ Certification records management provider benefits your business. Privacy+ Certification is administered by Professional Records and Information Services Management (PRISM) International, a trade association for commercial information management companies. PRISM awards Privacy+ Certification only to companies that meet or exceed the highest standards for information protection. A third-party auditor assesses Privacy+ Certified companies internal privacy controls every two years to verify ongoing compliance with PRISM’s Privacy+ Certification program. 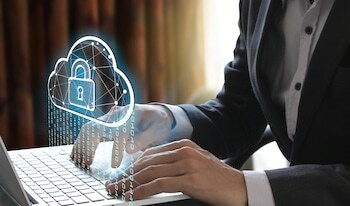 Records management providers are supposed to help businesses protect confidential records and data, but not all records management companies have the organizational processes, structure, and capability to ensure information protection. Privacy+ Certification is awarded to records management providers who follow organizational structures with clearly-defined employee roles and responsibilities. They must demonstrate strong managerial oversight of their staff to ensure information management and privacy protection measures are verifiable and measurable. This ensures their clients’ records and data are handled, transported, stored, and destroyed securely. Each of these “controls” is audited by an independent third party as part of an overall risk management assessment. If you want a records management provider who doesn’t just store barcoded boxes on shelves but is globally recognized for meeting a higher standard, choose a Privacy+ Certified records management company. 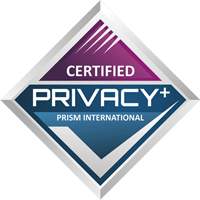 DeVries Business Services is the first records management firm in Washington state to be awarded PRISM Privacy+ Certification. We proudly serve businesses in Spokane, Eastern Washington and Northern Idaho.